1774-1839. He was born on Rhode Island on 20 July 1774, the second son of Rear-Admiral Sir Jahleel Brenton, and of his wife Henrietta Cowley. He was the younger brother of Vice-Admiral Sir Jahleel Brenton, whilst a younger brother, James Wallace Brenton, died of wounds incurred in a boat action when first lieutenant of the Peterel 16 off Barcelona in 1799. Brenton’s family relocated to England in 1780, as his father was of the loyalist cause in the American War of Independence. He saw early service from May 1781 as a child aboard his father’s command, the armed ship Queen, and was later employed with the sloop Termagant 22 before schooling for two years at Ware in Hertfordshire. In 1785 he moved with his family to St. Omer in France where he soon became adept in the French language. 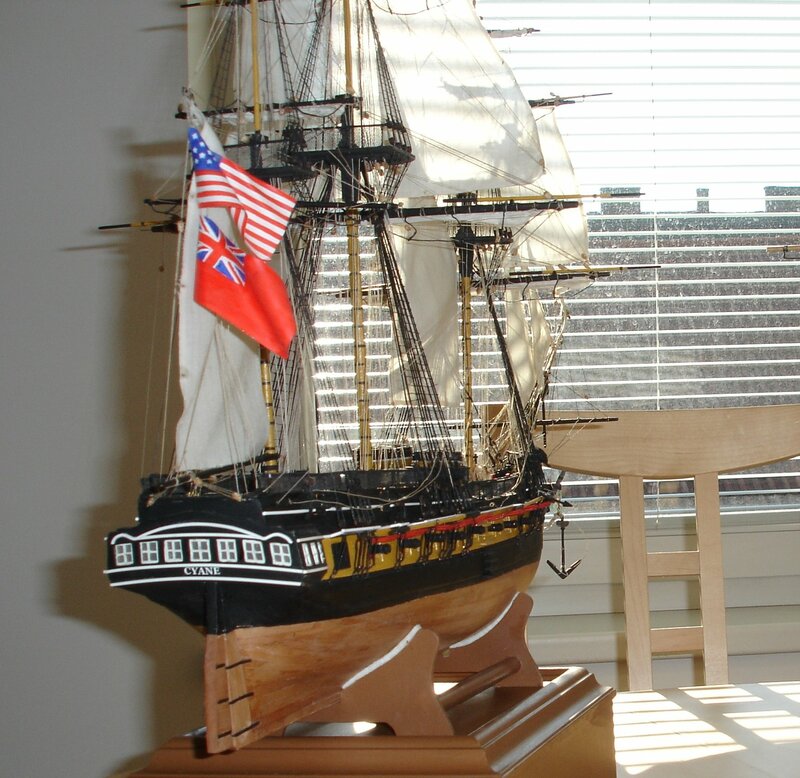 In November 1788 he joined the Crown 64, Captain James Cornwallis with the broad pennant of Commodore Hon. William Cornwallis, going out to India in February 1789. He returned to England in May 1792 aboard the Crown, commanded by Captain Robert Manners Sutton. Enjoying the patronage of Vice-Admiral Phillip Affleck, Brenton was placed aboard the Channel fleet vessel Bellona 74, Captain George Wilson, at the commencement of the French Revolutionary War in 1793, transferring to Admiral Lord Howe’s flagship Queen Charlotte 100, Captain Sir Andrew Snape Douglas, in August 1794. On 27 May 1795 he was commissioned lieutenant, seeing service in the North Sea aboard the Venus 36, Captain Lawrence William Halstead, and removing with that officer in the autumn to the Phoenix 36 on the same station. After leaving this vessel following a disagreement with Halsted, with whom he had earlier served aboard the Crown, he saw further service aboard the Agamemnon 64, Captain Robert Devereux Fancourt, on which vessel he was present at the North Sea Mutiny from 27 May 1797. His next appointment was that of first lieutenant of the Raven 16, Commander John William Taylor Dixon, which sloop was lost on a sandbank in the Elbe on 3 February 1798. In March 1798 Brenton joined the Agincourt 64, Captain John Bligh, carrying Vice-Admiral Hon. William Waldegrave’s flag out to Newfoundland, and he saw further service on that vessel in the Channel and in the West Indies, during which period he became her senior lieutenant. He next joined Bligh in the same capacity aboard the Theseus 74 in May 1801, serving in the North Sea and the Channel, and going out to Jamaica with Rear-Admiral George Campbell’s squadron in the following February. Whilst in the Leeward Islands Brenton died with the veteran French Admiral Villaretde Joyeuse, and he later carried him as a prisoner of war to France. On 29 April 1802 he was promoted commander, and he brought the Lark 18 back from Jamaica to England, paying her off on 17 August at Plymouth. Following the renewal of hostilities in 1803 Brenton was appointed to the recently purchased Merlin 16, an ex-collier in which he served off Le Havre and Calais, and in which he destroyed the privateer lugger Sept Fréres 2 off Gravelines on 27 October. On 16 December he earned much praise when his boats went in under fire to effect the destruction of the eighteen-pounder frigate Shannon 36, Captain Edward Leveson-Gower, which had driven ashore near Cape Barfleur, and whose crew had been made prisoner by the French. He also joined in the bombardments of Le Havre on 23 July and 1 August 1804 under the orders of Captain Robert Dudley Oliver. In January 1805, having brought the Merlin into Portsmouth, Brenton commissioned the new brig Amaranthe 18 in which he cruised in the North Sea, to Norway, and in the Shetland Islands. During April 1808 he took a convoy and the governor of Curacao, Sir James Cockburn, out to the Leeward Islands, where on 13 December he made a gallant attack on the French sloop Cygne 16 under the guns of St. Pierre, Martinique, successfully destroying her. His success was the more satisfying given that a force under Commander Francis Collier had failed to capture the French vessel the day before. Other vessels were also taken in abundance but sadly Brenton, like many of his contemporaries, was fleeced by his prize agent and lost all of his prize-money. During his command of the Amaranthe he had the honour of dining with the French governor of Martinique, Vice-Admiral Louis-Thomas Villaret de Joyeuse, after delivering a bag of letters that had been found aboard a prize vessel. At the beginning of 1809 Rear-Admiral Sir Alexander Cochrane named Brenton as the acting-captain of the Pompée 74, flying the broad pennant of Commodore George Cockburn, in which role he fought ashore with the naval brigade during the reduction of Martinique. 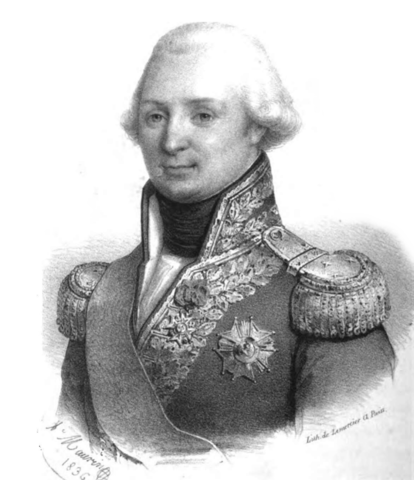 Following the fall of the island on 24 February Brenton set sail with Cockburn in the Belleisle 74, conveying as prisoners Vice-Admiral Villaret-Joyeuse and the French garrison of two thousand four hundred men to Quiberon Bay. Unfortunately the French authorities prevaricated with some duplicity over an exchange and the defenders of Martinique were taken to Portsmouth in early May where they were detained. Having left the Belleisle but seen his post captaincy back-dated to 13 December 1808, Brenton commanded the Donegal 74 in an acting capacity for Captain Pulteney Malcolm, going out to Cadiz with the Marquis Wellesley in July 1809 in order that the diplomat could hold discussions with the Spanish Junta. He returned home with Wellesley in November, whereupon he relinquished the command. One of Brenton’s later commands was the Cyane, which later became a prize of the American Navy. After five months ashore Brenton assumed command of the Cyane 22, taking a convoy into the South Atlantic in the early summer of 1810 before he succeeded his ailing brother, Jahleel, in command of the celebrated eighteen-pounder frigate Spartan 38 during August. After cruising off France the Spartan sailed to Halifax in July of the following year where she became a target of the large American frigates. On 1 August 1812 Brenton’s boats with those of the Maidstone 36, Captain George Burdett, destroyed a couple of American privateers in the Bay of Fundy, and two days later brought out four more small vessels. Apart from taking many prizes, most of which were small privateers, he was otherwise unable to gain any distinction, and he returned to England in September 1813 where the Spartan was paid off to undergo repairs. Bar two months from April to June 1815 when he fitted out the Royal Sovereign 100 for the flag of Rear-Admiral Sir Benjamin Hallowell at Plymouth, and then from June to November aboard the Tonnant 80 off Ireland, Brenton did not see any further service. In 1823 he published the five-volume ‘Naval History of Great Britain from 1783-1822’, but the thorough work was regarded as being politically prejudicial and was ferociously criticised, in particular by the eminent naval historian William James, and by Admiral Sir George Montagu. He also wrote the two-volume ‘Life and Correspondence of John, Earl of St. Vincent’ and a number of other works. Thereafter the rest of his life was devoted to charitable causes, particularly in favour of children, and in the forming of temperance societies, but in these philanthropic pursuits he was further criticised for his administrative failings. Brenton was nominated a C.B in 1838, but as a somewhat bitter man, yet in fine health, he died so unexpectedly in York Street, Gloucester Place, London on 6 April 1839 that a coroner’s inquest was called for. This found that his death had indeed been of natural causes, and he was buried at St. Marylebone Parish Church. He married Margaret Diana Cox, daughter of General Thomas Cox, on 29 March 1803 and had a large family. His sister married their cousin, Captain John Brenton, who was born on 28 August 1782 and posted captain in 1822. 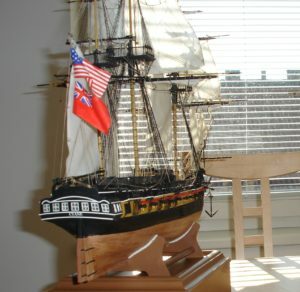 During the peace of 1802 Brenton provided the Admiralty with a model for a singular gunboat built somewhat like a canoe, but in the event it proved to be of a faulty design.